It is essential that our Neighbourhood Development Plan is based on robust information and analysis of our local area. This is called the evidence base. 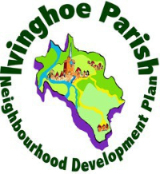 We have identified 8 topic areas to investigate and gather evidence in the development of our Neighbourhood Development Plan. We may, through our consultation , identify other topics or discover there are cross-cutting themes that may be relevant across a range of topics. These will be similarly examined. Please let us know if you think we have missed something by sending us your comments. Our findings will appear here on the website and will, in time, provide an evidence base to underpin our Neighbourhood Development Plan. If you have a particular interest in one or more of these topics we would love to hear from you. Please contact us here.